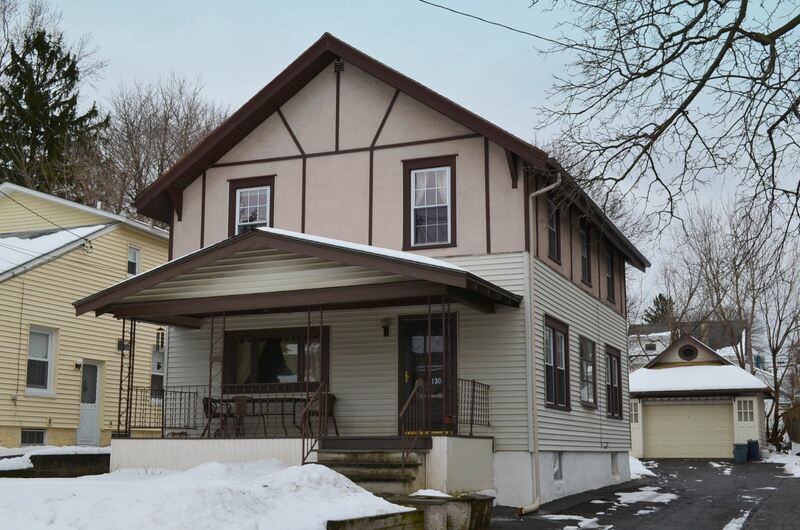 Syracuse NY Neighborhood - This charming 3 bedroom Colonial is located in a desirable and popular "Eastwood" neighborhood. It is centrally located to everything! First Floor Features - The first floor features an updated kitchen providing loads of character, hardwood floors, a breakfast bar with a built in cook top, and plenty of cabinet and counter space. There is also a spacious dining area off the kitchen, a large living room, and a computer nook. Exterior Features - The exterior offers a front porch, a 1.5 car detached garage, and a backyard.